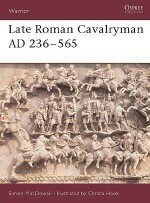 Diocletian and Constantine were the greatest of the Late Roman emperors, and their era marks the climax of the legionary system. 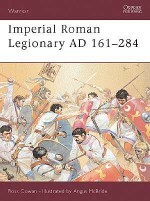 Under Constantine's successors the legions were reduced in size and increasingly sidelined in favour of new units of elite auxilia, but between AD 284 and 337 the legions reigned supreme. 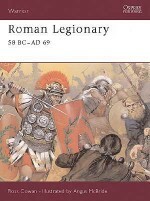 The legionaries defeated all-comers and spearheaded a stunning Roman revival that humbled the Persian Empire and reduced the mighty Goths and Sarmatians to the status of vassals. 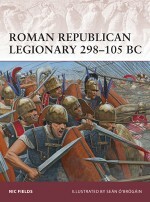 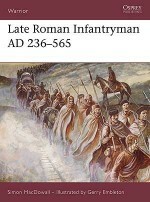 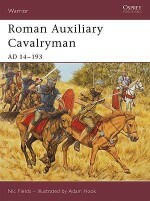 This title details the equipment, background, training and combat experience of the men from all parts of the empire who made up the backbone of Rome's legions in this pivotal period.